Proceeds from fundraising will be directed to local based community organisations such as Youth Social Force (Myanmar Charitable Youth Association), Free Funeral Service Society (Yangon) providing rice, purified water or water purification tablets, mosquito nets, medicines, seeds and other aid to flood affected communities. ANU Myanmar Students' Association (ANUMSA) is helping where it can in the rescue and rehabilitation efforts from the devastating and unprecedented flood in the country's history. They aim to raise $10,000 to send to the most affected areas in Myanmar: Chin State, Rakhine State, Sagaing Region and Magway Region. 1. Myanmar Special Brownbag seminar: Friday 7 August, 12pm-1.30pm, Hedley Bull Centre. This fundraising seminar will discuss Myanmar's response to the flood, looking at the role of various actors and their interactions and comparing it with the 2008 Cyclone Nargis response. Donations will be greatly appreciated. 2. Saving Myanmar from flood: Monday 10 August, 11.30am-1.30pm, Union Court, ANU. Raising funds by selling coconut chicken and noodle soup. 3. Share your support: You can also print out a poster and display it in your workplace. We have received 1891 AUD so far. Your kind help are needed to save thousands of flood affected people in Myanmar. Your small contribution could mean a big difference to thousands of people in Myanmar. 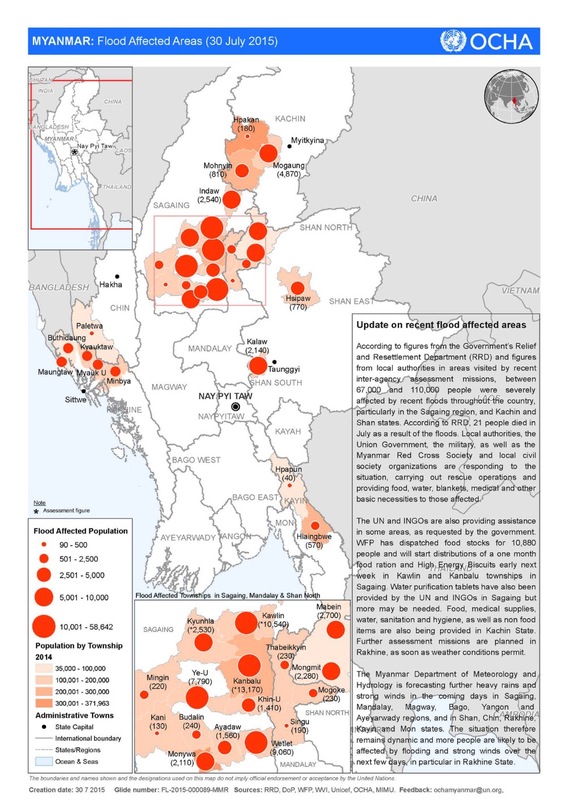 Recently, Myanmar was hard hit by torrential rains and cyclone across eleven out of fourteen States and Regions. Three of them were declared as natural disaster area. Dams and reservoirs cannot hold the incoming water anymore and their spill over made the flood worse. 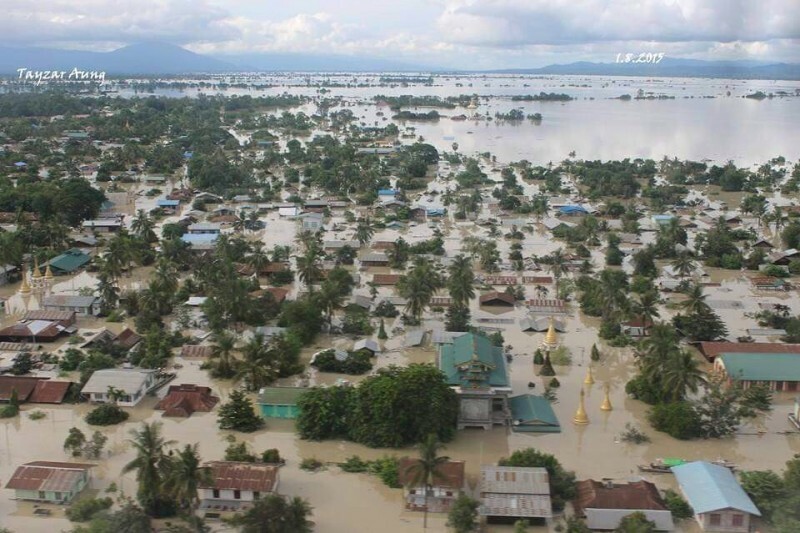 It was referred as the most devastating natural disaster after Cyclone Nargis in 2008. So far, scores of people had died and over 100,000 peopole were displaced. 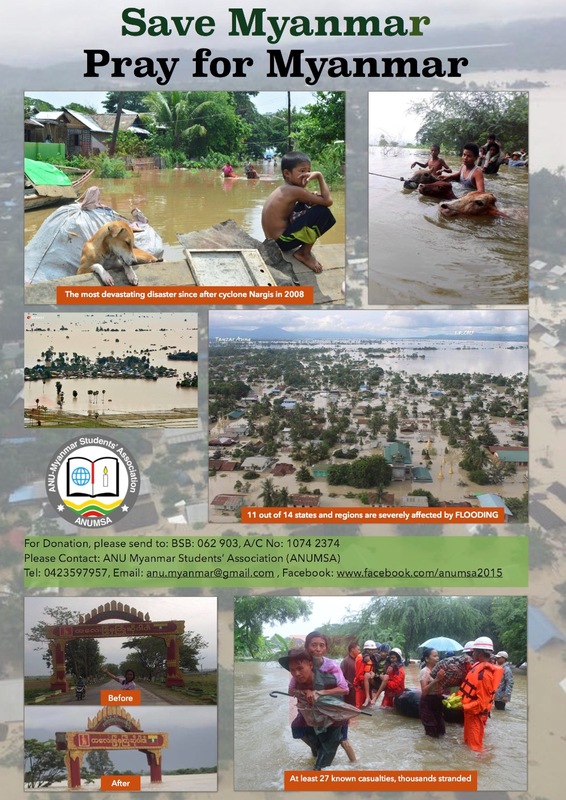 ANU Myanmar Students' Association (ANUMSA) is helping what it can in the rescue and rehabilitation efforts from the devestating flood unprecedented in its history. We aimed to collect A$ 10,000 and send it to the most affected areas in Myanmar: Chin State, Rakhine State, Sagaing Region and Magway Region. A very good initiative from Maung for his country's flood affected people, thanks Maung again! Everybody be safe.